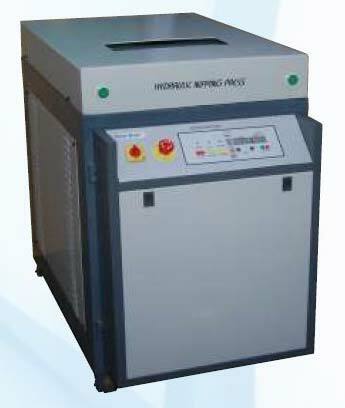 Our company has expertise in manufacturing, exporting and supplying of Nipping Machine. Nipping is the process of reducing / knocking out the swell in the spine of thread sewn book-blocks or gathered folded-forms (signatures) being prepared for Hard Case or Soft Cover/Perfect Binding. The Book-blocks should be rectangular in shape and free from extreme gradients in the folded/sewn area for quality and enhanced life of the Book. Sturdy, durable, efficient and excellently performing Nipping Machine can be availed from us at fair prices. Electrical load 3HP, 440v Ac.